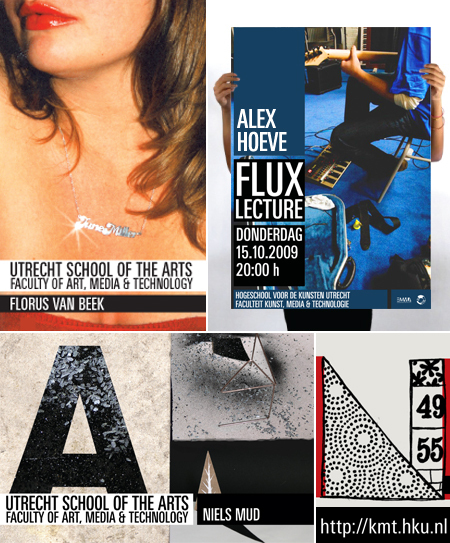 For the past couple of years we have been working regularly on building the visual identity for the Faculty of Arts, Media and Technology at the Utrecht School of the Arts in the Netherlands (HKU). 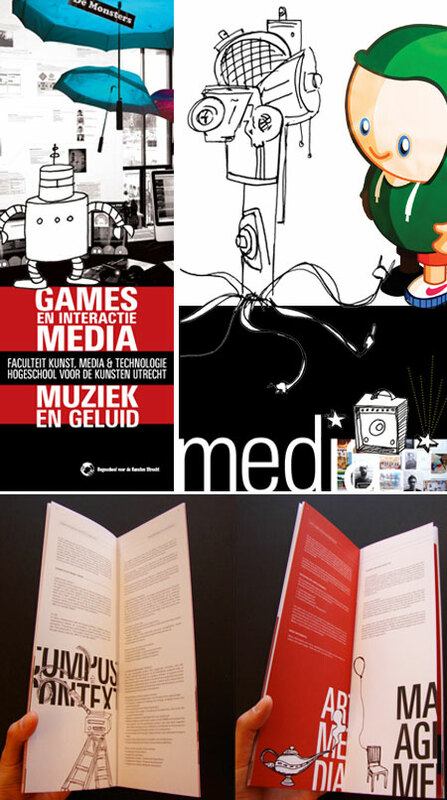 Since then, we have designed several of their publications as well as a series of sub-identities for specific academic programs initiated by the school as part of the whole visual identity. Early in 2009 we were asked to develop a new visual identity for the Faculty in Hilversum. The school, with its expanding new programs, aimed at lifting its house-style through a new image. Their main objective was to visually accentuate the Faculty’s independence from the central school in Utrecht. Our creative process focused on achieving this goal by creating a solid and consistent identity, which we have been using this past year on a variety of printed and digital promotional material we designed for the school. Among the different materials we designed were the vertical signature brochures of the school, which we printed on heavy-stock rough paper to enhance the raw feel of the visual identity and complement the bold typography and colors used. Other items we designed varied from animation, packaging, postcards, posters and stationery.